Colgate Optic White: Hurts too much to use? 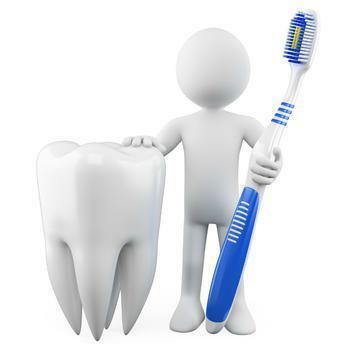 The first rule of oral hygiene states that brushing your teeth is not supposed to hurt, and if it does, chances are there’s a problem with either your teeth or your toothpaste. Among toothpastes that brag about their specific ability to whiten your teeth (as opposed to merely keeping teeth clean and free of decay), we’ve had dozens of readers complain of painful, allergy-like symptoms —especially readers using Colgate’s “Optic White” products. Disclaimer: We personally avoid any toothpaste containing baking soda or peroxide, because whenever we’ve tried using such “whitening” pastes, they made our mouth burn painfully. We figured maybe we were just unusually sensitive, so we stopped using these products and went back to our old brands because, as we said already, brushing your teeth is not supposed to hurt. But when Jason of Brownstown, Mich., experienced similar discomfort, he decided to “tough it out” instead. By the time he wrote us on Sept. 24, he realized that was a mistake. 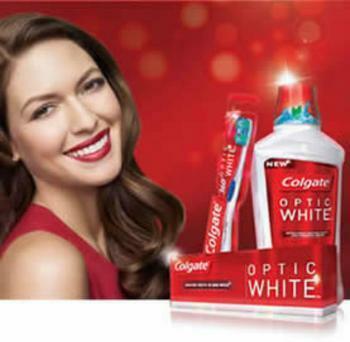 “I started using Optic White from Colgate around Sept. 8,” he told us. “The first time or two using it, I brushed a little on my tongue. I noticed some pain so I decided not to do that anymore. Well, on Wednesday, Sept. 23, I made a dental appointment for a maintenance cleaning. ... [T]he dental hygienist ran a light in my mouth and was mortified. Sylvia of Los Angeles reported similar problems: “I started using Colgate's Optic White Toothpaste because I've always been a very satisfied customer. However, for the last two weeks I've experienced blisters on my upper and lower lips since I've started using it. It finally dawned on me to research this product and wish I had done prior to my purchase. "I will definitely contact Target and Colgate and urged them to consider removing this product and do some more serious QC. One of its ingredients is hydrogen peroxide; I'd like to see their own employees gargling this stuff and give feedback on it,” Sylvia fumed. That last sentence was surely facetious; we do not advise anybody to try gargling with hydrogen peroxide. Ashley of Hyde Park, N.Y., gave up on Optic White after only three days: “I recently bought Colgate Optic White on Thursday, so I used it 3 days and instantly all my bottom teeth and gums have been hurting! It's so painful and I never had any problems with my teeth, no cavities or nothing. I also have been getting bumps all over my lips. "I feel like Eddie Murphy in The Nutty Professor when his lip got fat! I can't believe this product; my mouth is in so much pain. Never again! Would love to try to get a refund for it from Colgate, but better off just throwing this garbage out,” Ashley said. By contrast, Brittany of California City lasted a couple of weeks before she started having problems: “I bought a travel-size tube of Colgate Optic White toothpaste because I wanted to try and whiten my teeth, and figured it would be a good product. I've been using it for about 2 or 3 weeks now. I noticed just recently that my gums were getting kinda sore. "I didn't think anything of it until like a dime-sized section of skin peeled off the roof of my mouth …. then noticed my throat started hurting (within hours of skin peeling). …. I went online looking for what this could possibly be, and came across this site, and what people are saying about (who knew?) Colgate Optic White toothpaste,” Brittany said. And MG of Brandon, Fla., had an almost identical complaint about Optic White: “I developed extremely swollen lips with rash/sores along the top and bottom edges of my lips. The corners of my lips also cracked badly, I developed headaches, and the back of my throat has been swollen and red. …. I took Benadryl with no relief, so I made an appointment with my doctor this past month. They asked me if I tried any different products recently, but the toothpaste never came to mind because it's toothpaste that's something everyone uses. I went to have an allergy and herpes test (so embarrassing) and both came back negative. I eliminated food places and food products, but still no results. "Finally, it clicked to check the toothpaste reviews after reading someone's chapped lip experience online. 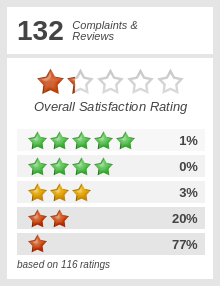 I am so upset about all these reviews. …. I'm going to make appointments for my dentist and ENT to check to see if there has been any serious damage. This is absurd that Colgate has not pulled this product with all of these bad complaints," MG concluded. What we gave you here is only a tiny sampling of the total complaints we’ve collected; the full list of complaints is longer than many books. John presumably disagrees with us, when we say that brushing your teeth isn't supposed to hurt. We left a message with Colgate’s media-relations office, but have not yet received a response. Meanwhile, we are for some reason reminded of a story which ran in the satirical Onion newspaper over 10 years ago: “US Dentists Can’t Make the Nation’s Teeth Any Damn Whiter,” containing this completely made-up quote from an American Dental Association official: “As medical professionals, there is a limit to how white we can make your teeth. Using various new tooth-whitening procedures, we can remove the extrinsic staining from your teeth and make them look their absolute whitest. But that's still not enough for you psychos. You need whiter. Well, if you want to go to Mexico and have someone implant a black light in your gums so your teeth glow an unearthly white, go nuts. I'm just telling you what we're medically and legally capable of at this time."